​Jesus is Not Coming Back. He Was Not Here to begin with. Here comes Easter again. And here comes the Christian story of a savior, Jesus of Nazareth, or Jesus Christ, who was crucified and comes back to life. The Apostle Paul stated, “But if there is no resurrection of the dead, not even Christ has been raised; and if Christ has not been raised, then our preaching is vain, your faith also is vain.” (1 Corinthians 15). I have news for you, Paul: Faith is in vain. A few simple questions make this fact easy to discern. For instance, where was Nazareth? According to Nazarethgate, scholars have been unable to find a place by this name in the part of the world that Jesus allegedly lived during that period of time. But scholars do agree that some people were then known as Nazarene. As for the cross, the Christian religion did not widely use it as a symbol of the religion until the fourth century, according to Creating Christ. Prior to then, the church used the anchor and the dolphin. There are no eyewitnesses to the resurrection mentioned in the Bible. And according to the Gospel of Mark, of which the other three gospels are based, no one could have reported the empty tomb or the resurrection. Mark 16 states that a young man dressed in a white robe who tells three women, Mary Magdalene, Mary and Salome, that Jesus had risen and that they should go to Galilee to see him. But in the last verse in the original manuscript, verse 8, the women became scared and said nothing to anyone. One must wonder how this story was ever told. Two thousand years have gone by since Jesus supposedly uttered these words. The people who lived during that time are long gone. I hope that faith will some day be buried as well. 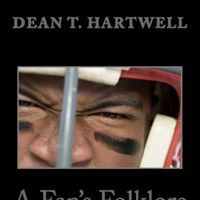 Dean Hartwell Promotes Truth of 9/11 on Don Jeffries' Show! Dean Hartwell made an appearance on the live broadcast "I Protest" and talked to Donald Jeffries about his ideas on the subject of 9/11. Click the link below and listen to Hartwell discuss planes without passengers, Betty Ong, the "scripting" of the official narrative by actors and much more for ninety minutes. I would never actually see this game but would read about it not too long afterwards. At the age of four, I was wandering around the local shopping mall helping my older brother and my mom get last minute Christmas gifts while my dad, suffering a case of the flu, tuned into the game. He would relate to me years later that he couldn’t figure out what happened, so I went to YouTube and reviewed the play myself hundreds of times to find the truth of who touched the ball. One of the most famous games in the history of professional football has given football fans its biggest mystery. Just say the words “Immaculate Reception” to anyone who has followed the game and listen to them try to explain it. The Pittsburgh Steelers hosted the Oakland Raiders in the first round of the playoffs at Three Rivers Stadium. The two teams had met in the first game of the season, with the Steelers winning 34-28. The Steelers won the American Football Conference Central Division with an 11-3 record while the Raiders won 10, lost 3 and tied one. The teams played to a scoreless tie in the first half. Roy Gerela kicked two field goals in the second half to give the Steelers a 6-0 lead. But with 1:13 left in the game, Raider quarterback Ken Stabler avoided several Steeler defenders and ran with two bad knees down the left sideline for a very unlikely touchdown of thirty yards. George Blanda’s extra point gave the Raiders the lead. Quarterback Terry Bradshaw moved his team from their 20-yard line to their 40-yard line with passes to his running backs, Franco Harris and John “Frenchy” Fuqua. But Bradshaw misfired on his next three passes, two of which were knocked down by Raider safety Jack Tatum. Tatum reached over the shoulder of a Steeler receiver to bat one of the balls to the turf. On fourth down and with 22 seconds left in the game, Bradshaw went back to pass and eluded a fierce Raider rush. Realizing that his initial pass target Barry Pearson was not open, he threw the ball in the direction of Fuqua near the Raider 35-yard line. The ball, Tatum and Fuqua all appeared to arrive at the same time. Tatum came running toward the ball, while Fuqua arrived from the side. Because of the collision, the ball rebounded about seven yards to the other Steeler running back, Franco Harris, who caught it and ran all the way into the end zone. Some have disputed that he caught the ball before it hit the ground, but no camera angle answers this question conclusively. The legality of the play comes down to who touched the ball. If Tatum touched the ball, the play was legal, and the referees would have done the right thing by upholding the touchdown. If Tatum did not touch the ball and Fuqua did touch it, the play would not have been legal. The referees should have ruled the pass incomplete and returned the ball to the Raiders to run out the clock. The two angles on the play available on film do not conclusively show the answer to the question of who touched the ball. ​Tatum and Fuqua collided right when the ball arrived. The ball traveled backwards about seven yards to Harris, who caught it right at ground level. Then, I will make several guesses as to what happened and choose the hypothesis that fits the facts best. And how did Fuqua, who HAD to catch the ball for his team to have a chance to win, somehow miss it completely? How did Tatum hit the ball and not Fuqua if all three arrived at the same time? Hypothesis #2: Tatum touched the ball first, and then Fuqua touched it. The same guess as above except that the ball also nicked Fuqua. The ball could have only made slight contact with Fuqua because had the ball bounced off Tatum and struck Fuqua with any kind of force, it would have slowed down and would not likely have flown seven yards back. While Tatum could have hit the ball right before hitting Fuqua, the other question from Hypothesis #1, how Fuqua could miss the ball completely, remains valid. Hypothesis #3: Fuqua touched the ball first, and then Tatum touched it. This hypothesis could explain the distance of the ball’s flight to Harris. Fuqua could have touched the ball on the ball’s path to Tatum. Tatum could then have knocked the ball to Harris. But how did Tatum contact Fuqua AND knock the ball seven yards AT THE SAME TIME? Hypothesis #4: Fuqua alone touched the ball. Tatum was a hard-hitting safety who had a knack for hitting a player just as the ball arrived. He would have to hit Fuqua in such a manner that the hit would carry the ball hitting Fuqua back with enough force to propel it seven yards. But how did the hit Tatum applied to Fuqua cause the ball the project seven yards? And he dislodged the football from Denver Bronco running back Rob Lytle in the 1977 AFC Championship game with a precise strike on the ball. If anyone could hit another player hard enough to make a football fly back seven yards, it would be Jack Tatum. Another test to apply is to note the reactions of the players around him, some of whom likely had an idea as to who touched the ball. Three of the closest players to the action were Raider defense back Jimmy Warren, defensive tackle Art Thoms and linebacker Gerald Irons. Warren and Thoms, behind Tatum, can be seen starting to clap after Tatum made the hit. Irons ran in front of Tatum and slowed down after the hit. Tatum himself appears to come to almost a complete stop after the hit. His reaction is not consistent with a player who could see the ball on its way to Harris UNLESS he was convinced that he (Tatum) had not touched the ball. All the Raiders gave chase to Harris. Some would say that this reaction is consistent with a belief that the play was legal. However, with no referees having given any indication that the play was illegal (i.e. a flag or a whistle), the Raiders had no choice but to play on and contest the call later. But Fuqua will not publicly say what happened. If he knew he did not touch the ball or if he knew that Tatum did, it would make sense for him to come out and say it to lift the cloud that hangs over the integrity of this game. I learned the power of proximity. It helps to hold the big game on your home turf where the fans’ approval or disapproval of a call is certainly enough to make referees feel uncomfortable. Though I did not see this game personally, I have seen replays of this play hundreds of times thanks to YouTube and replays sometimes shown on football games. I have also seen still pictures, read about this play and debated it with other football fans on the Internet. From all of this, I got a sense of what really happened. After Harris ran in for the touchdown, fans started to pour onto the field. It took fifteen minutes for order to be restored so that Roy Gerela could kick the extra point. What would these fans have done had the call been made the other way? A person’s first instincts are for self-preservation. With the thought of angry fans on their hands, the referees, no more aware of who touched the ball then than we are forty years later, took the safe option of calling a touchdown for the home team. At face value, McNally’s recollection of Swearingen’s comment makes little sense. If Swearingen knew the rule on players touching the ball and he knew opposing players touched the ball, then he already knew what call needed to be made. If he already had the call in mind, then why bother getting on the phone with the head of referees? If he was not certain of the rule, there was no need for Swearingen to talk to McNally. Swearingen could simply have consulted the rule book to confirm he had the rule correctly. That would have taken away the appearance of impropriety that he made by contacting McNally. If he was not certain of what happened on the play, then again Swearingen should have had no use for McNally. His fellow referees had already reported that “opposing players touched the ball.” The head of referees had no authority to rule as to the facts of the play. Reading about this game makes me read into statements that people make. The facts are clear that Swearingen got on the phone with someone. Whether he talked to McNally or not, the conversation was not about the facts of the play or the applicable rule. Most likely, a serious question came over him as to what had really happened. He probably leaned toward the explanation that only Fuqua had touched the ball and did what many do when confronting an unpleasant truth: he looked for someone to talk him out of the truth or to at least give him a little encouragement. The deepest truth of this game is that home field advantage covers a lot of ground. What do I know after fifty years of life? I have gotten to know myself a little. I cannot act, I cannot dance and people pay me not to sing. But I am one of those rare people who enjoys giving a speech! American Airlines Flight 11 attendant Amy Sweeney allegedly made a call to American Airlines Flight Service at Boston Logan Airport. She told a manager for American Airlines that “Flight 12 at Gate 32” had two flight attendants stabbed. But Gate 32 was the gate that Flight 11 was supposed to have departed from. American Airline employee Elizabeth Williams told the FBI that she had gone down to Gate 32 after hearing of Sweeney’s comment. And found an empty plane matching the description of Flight 11. An empty plane. That was supposed to be full of passengers crashing into the World Trade Center. This is a "smoking gun" that completely destroys the official story of 9/11! How has the official story succeeded in spite of this fact? Simple. It is because facts do not matter when people get scared. We became scared of Middle Easterners, Muslims and hijackings after watching the news repeatedly. The theory that nineteen hijackers, all Middle Eastern and all Muslim, would attack us rang a chord because our society prejudices against people from the Middle East and against Muslims. This prejudice is hardly new. I recall the United States Embassy taken over in Tehran in 1979 by people referred to as Muslim “fundamentalists.” Everyone I knew blamed the Iranians and made fun of their leader, the Ayatollah Khomeini. Of course, I believed like everyone else. Years later, I can see the Iranian side to the story. Our Central Intelligence Agency participated in a successful plot to overthrow a democratically elected leader in Iran, Mohammad Mossadegh. This coup happened in 1954. Think about this: For a quarter of a century, the Iranian people had to put up with a leader, the Shah Reza Pahlavi, whom they did not elect! How would we like it if another country imposed a president on us? During the Shah’s regime, the United States traded weapons for cheap oil and provided intelligence to the Shah’s secret police, the SAVAK. The Shah was no friend to human rights and ordered the jailing and execution of countless people. Little wonder, then, that when the Ayatollah had a chance to take over the nation that hundreds of thousands of loyal supporters helped him gain power. And when the Ayatollah pointed the finger at the United States for some of their nation’s difficulties that these supporters followed his lead and took over the Embassy. I can now say that the United States was very much at fault for the hostage taking now. But then I could not. This truth was too much to take. Our whole nation was furious. People who appeared to be Middle Eastern were eyed with suspicion. It felt like war might even break out – not against Iran, for fear we would cause harm to our own people there – but rather against those who did not go along with the official line that Iran was at fault. So here we are again. The seeds of prejudice, planted long ago, still grow. The target of our hatred has moved from the Ayatollah (who died in 1989) to Manuel Noriega of Panama to Saddam Hussein of Iraq to Osama bin Laden and to anyone else who appears to cause us any trouble or get in the way of something we want. Other issues persist in our society: shootings in schools, cyberwarfare and weapons buildup. These issues will continue to persist because they go back to the same issue brought to our attention about 9/11: security. But it is not so much our physical security at risk as it is our feelings of security in society. We want to feel secure in our environment. It doesn’t matter whether we are at home or in front of the White House: as our need for security increases, our interest in speaking the truth decreases. I believe my readers will read something I write if they perceive my knowledge on the topic. Fortunately, there are a few topics of which I have gained knowledge, through my own experiences and/or thousands of hours of reading. For instance, I have studied the JFK assassination seriously since 1982. I had heard of the event before that time, but did not study it closely until I saw a movie called The Man Who Saw Tomorrow, a movie about the alleged prophet Nostradamus. The movie showed a clip of JFK getting shot and it made me want to understand the point of view of those who say his head moved backwards by a shot from behind. That is thirty-six years of books, movies, speeches, symposiums and anything else I could find. I could write about this murder, and the murder of his brother, Robert, which I have studied for approximately the same amount of time. But having offered my thoughts in Dead Men Talking, my second book, I chose not to go beyond making it clear that the alleged assassins did not commit the respective crimes. Then there is 9/11. After believing the official theory for four years, I picked up a copy of The New Pearl Harbor, a book by David Ray Griffin, I became intrigued that a respected professor of philosophy would suggest that the events of that day were not what the public had been told. So I read and read and read. And watched videos. And heard what others had to say. Over the next five years I focused upon the planes allegedly used and the passengers who allegedly flew in the event. I started to formulate conclusions and eventually locked myself in an office for a weekend and wrote many of them out. They formed part of the basis for Dead Men Talking, which came out in 2009. I started to receive invitations to speak on podcasts, namely from Jim Fetzer, and discussed my thoughts. 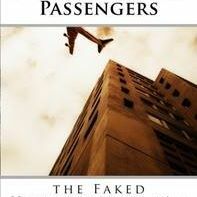 I discovered new information about the flights and came up with the best phrase I have ever come up with, Planes without Passengers, which became my third book in 2011. The second edition of this book became my best selling book the following year. In subsequent books on the topic, I have determined that some "evidence," like the Social Security Data Index, have little value in assessing whether specific people actually died that day; the helpfulness of asking and answering a series of questions to form the context of an opinion; and the interest in reading the ideas of what people who allege friendships with the so-called passengers. I have steered clear of what exactly brought the towers down as I do not have much of a scientific background. I have also tried my hand at writing an auto-biography of my earlier years, A Fan's Folklore, using professional sports players and games as metaphors of what I learned growing up. 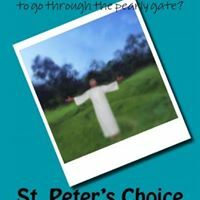 My discontent with the Christian religion, backed by my deep reading of the Bible and pro- and anti-Christian works, led me to write a novel about Judgment Day called St. Peter's Choice. I love to write because I work without supervision. My bosses, if any, are my audience. My aim now is to find a topic that satisfies me and those who read my works. I need expertise on the subject - and I have it with the Kennedy assassinations, 9/11 and critique of Christianity. Does anyone see a winning book thesis here? ​September 11 will be here soon. i have spent the last thirteen years researching the event known as 9/11. I have read the Official 9/11 Report, just as I have read the Warren Report. These reports foster myths like “19 hijackers” and the “single bullet theory” to steer us from asking questions whose answers would change the way we view the institutions that keep our society together. The choice we face between accepting mythology by sweeping unpleasant truths under the rug and risking censure by speaking up isn’t an easy one. With that in mind, I bid you all peace Tuesday and every other day. Jeannon Kralj Reviews Mythology 9/11! 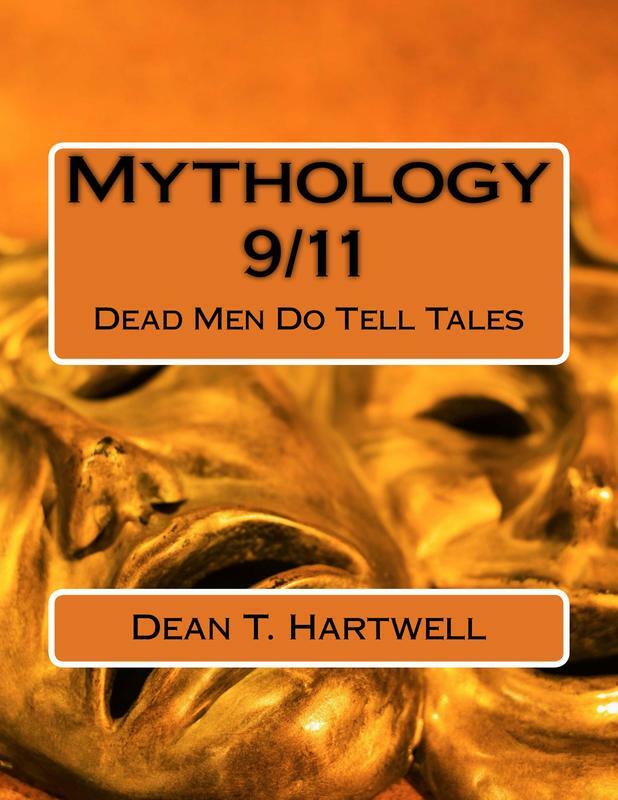 Just when I need bad a big fix of 9-11 truth, here comes the I V Push dose of Dean Hartwell’s 9-11 planes and passengers facts - Mythology 9/11 Dead Men Do Tell Tales. I got the quick and easy tiny paperback and I do mean quick and easy – 159 pages in huge print delivering the straight skinny for this 9-11-truth junkie. Get and keep a hard copy of this beauty as the electronic version will soon go down the Orwellian memory hole. 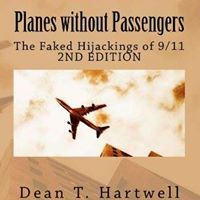 Hartwell again gives us a close discerning look at what transpired on 9-11-01 with the planes and the passengers and airline and airport pilots and employees, as well as the official stories we were told about all of this by our government officials and elected representatives as well as the media talking heads. I’m an oldie on the 9-11 truth seeking scene and from the very beginning talking about the planes and passengers was verboten. Such talk was suppressed in many different crafty ways. That is when and how the desired split among the truth seekers first started. I believe this suppression was due to the fact that this area of 9-11 inquiry is most closely related to WHO DID IT – the perpetrators of this evil deed. I particularly liked the way Dean points out what story elements the plotters needed to control the public’s minds. How the Cass Sunstein and Phillip Zelikow types master- crafted this 9-11 Myth is made clear. As my addiction continues and I keep reading all about 9-11 and keep sifting through the different theories, this little objective and analytical exposé of just the facts lights up The Big Lie and brings me closer to truth. An expanded edition of Mythology 9/11 on Kindle is out! 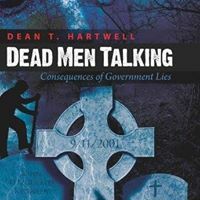 After presenting the "whats" and "hows" of the events of 9/11 in a storytelling form, Dean T. Hartwell gets down to business and concludes this updated book by telling the reader why events like 9/11 keep happening! The truth will shock! This book is a #1 Bestseller on Amazon! You may order it now here!